At the helm of Team JARS, is Managing Director and Team Leader,Steven Astaphan, a civil engineer with a vision. Founder of JARS Sales & Services Ltd, Steven is registered with the Dominica Board of Engineering and holds a BSc. in Civil Engineering from the Technical University of Nova Scotia, Canada. Steven has a strategic vision, which allows JARS business goals to adapt as market needs and client demands change He is meticulous in his attention to planning, detail and focus on client objectives, which results in excellent quality jobs. He has also positioned JARS to be ready for business in the other OECS countries, the wider Caribbean region and beyond. His vision was also responsible for the inclusion of Property Development and Management to JARS’ portfolio of services, making JARS a truly multifaceted business. 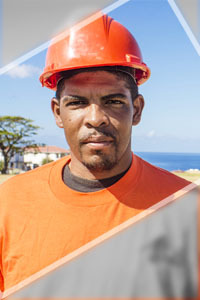 Steven, is a member of the Dominica Association of Professional Engineers (DAPE) and Caribbean Water and Wastewater Association (CWWA). He sits on the Board of Directors of Dominica Association of Industry & Commerce (DAIC) and Technical Vocational & Education Training Agency (TVET). Manager Mrs. Marianne Guiste, has over 35 years working experience with the last ten year in senior management. She is one of the longest serving JARS team members. She joined the company in 2007 and although she was new to the industry, Mrs. Guiste quickly adapted to her new environment and almost immediately started learning about the construction/engineering business. Before joining JARS Sales & Services Co. Ltd, Mrs Guiste worked at Dominica Coconut Products (DCP) now Colgate Palmolive, in a demanding corporate environment. She worked in multiple roles, notably Procurement and Inventory Management, where effective time management and professional efficiency were key assets. With this disciplined and thorough approach, Mrs. Guiste ensures that the JARS administrative team is focused on providing high quality service to our clients. Her time management and follow up skills are second to none and under her leadership, the JARS office team is fully aware of their various roles and functions and are motivated to meeting the company’s objectives. 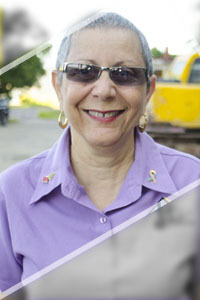 Mrs. Guiste has seen JARS Sales & Services Ltd. grow from a small start-up business with two (2) employees, adapting to market changes and become a leader in the construction industry in Dominica. Quiet and unassuming, Jackson Joseph is the cohesive influence on JARS work sites. Jackson has been on the JARS team for six (6) years and is a key element of the glue holding the JARS field team together. 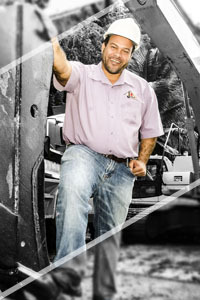 A versatile and experienced foreman, Jackson is a team member who is hands on when the need arises. A former excavator operator, Jackson can perform many of the tasks done by the work team. That skillset allows him to be fully aware and up to date on the progress of JARS project activities. JARS SALES & SERVICES LTD.